Ahhh... summer. It's the favorite season of many of us in the Indianapolis area. 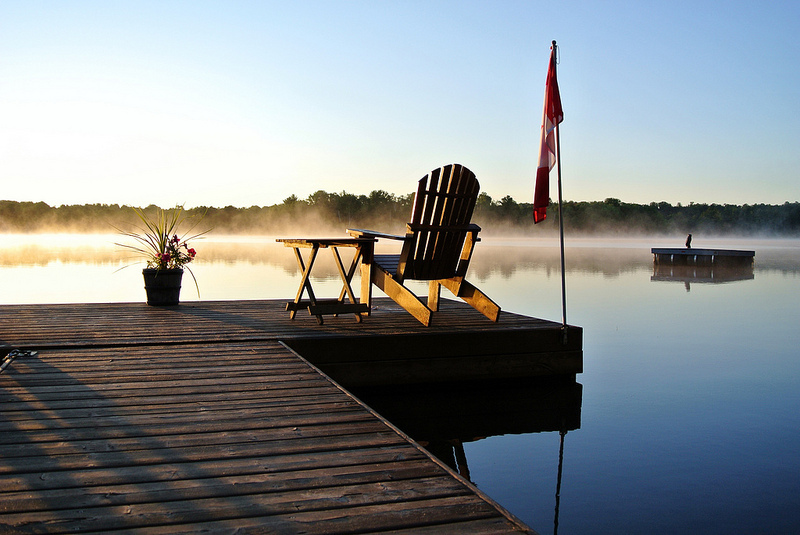 Whether you spend your summer soaking up the warm sun in your backyard or are lucky enough to escape to a waterfront retreat, summer likely holds special memories for you. Wouldn't it be nice to capture some of those feelings in your home? 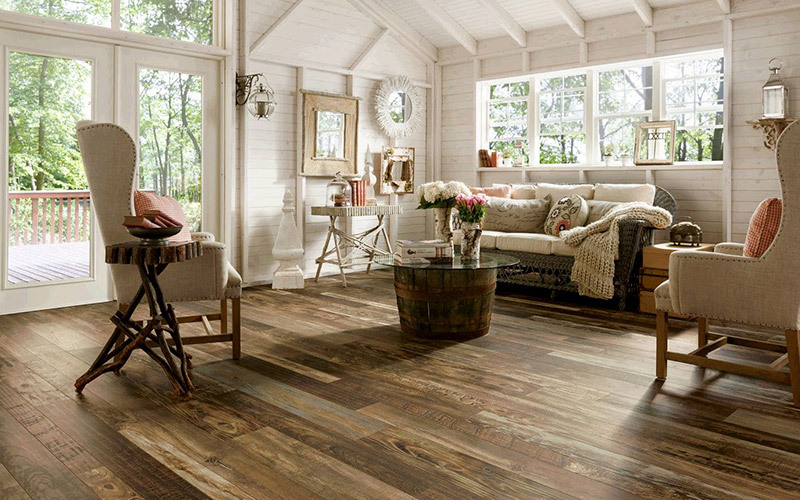 Rustic, casual flooring can go a long way to keeping the easy, breezy feel of summer or your favorite beach vacation in your home year-round. Indianapolis flooring store, Kermans, has some great ideas to bring summer indoors with your choice of floors. White-washed wood or wide planks in a lighter finish feel wonderful underfoot and look like they belong in a vacation cottage. They might just remind you of your favorite ocean boardwalk or lakefront pier too. Hardwood flooring is a popular choice for flooring in Indianapolis because of its durability and timeless appeal. Going with lighter wood flooring is a fun way to make a room feel a little bit like a vacation resort. You might also want to consider laminate wood flooring from one of our popular manufacturers, Armstrong. They have a full line of laminate floors designed with summer in mind: Armstrong Coastal Living™ Premium Laminate floors offer the glow of world's shorelines in an easy to clean, easy to install laminate floor. The coastal flooring designs will give your space an ocean-kissed look that will last for many years. Tile is often found in beach homes and for good reason - it is practically impervious to the sand and water that is tracked inside when you live on the beach. It's also cool underfoot which feels marvelous on a hot summer day. Tile is a beautiful and practical choice for any home because of its easy maintenance and variety of styles. Ceramic and Porcelain tiles in cool shades of light blues and greens keep that ocean feel in your room year round. 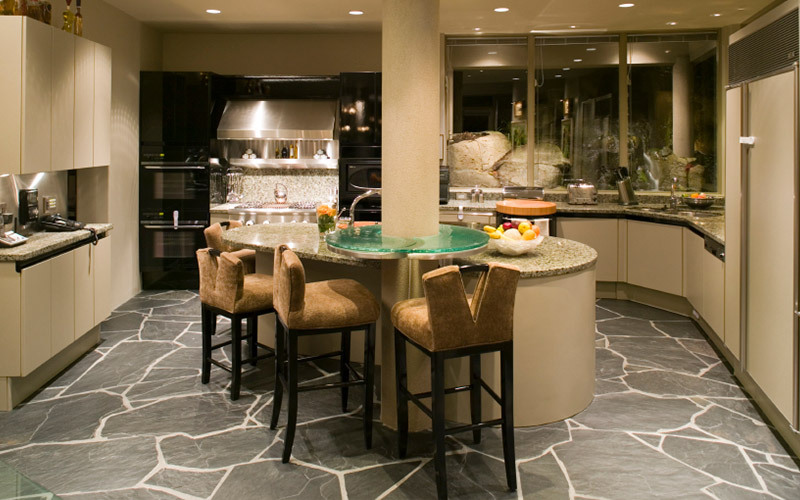 Rustic stone tiles are another great way to bring some of the outdoors inside. Unevenly shaped pavers in particular give a room a beachy feel - especially if you use tiles in sand-colored hues. Terra cotta adds a touch of classic rusticity to your home while reminding you of days spent outdoors in the sun. The rich, deep color of terra cotta is also an excellent pairing with the blues that bring a sense of sunny skies and wide lakes. Design inspiration can come from a season, a vacation, a movie or a magazine. 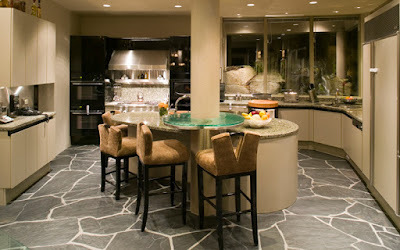 Wherever you find your inspiration, Kermans flooring store in Indianapolis can help. Our design staff loves to help bring ideas to life with affordable, beautiful flooring. Schedule a free design consultation today and we'll be ready with ideas to get you started to your new floor.